Hi everyone, Shieldbro here with a breakdown of my first impressions of Senua’s Sacrifice. If you would prefer to hear a slightly less structured version of this post then feel free to check out my first impressions video on YouTube. 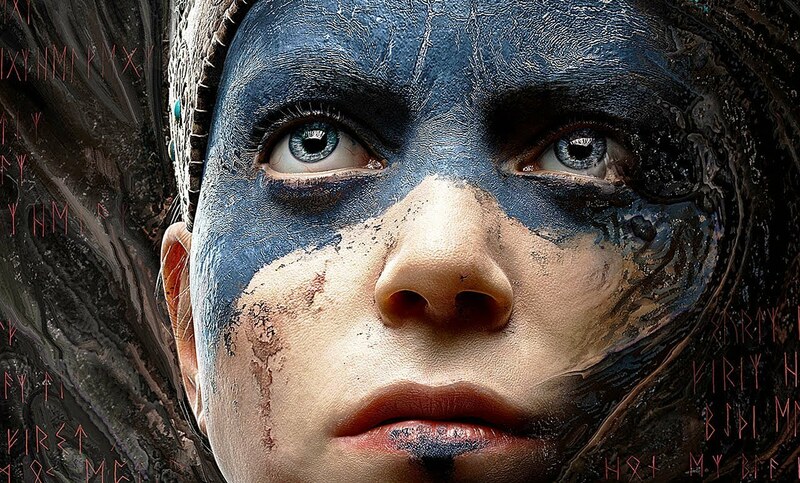 Without further ado let us talk about Hellblade: Senua’s Sacrifice, the so called indie tripe A game from Ninja Theory. Set in the Viking world of the dead, Helhiem, you must seek out your sacrificed love by solving puzzles and, defeating the North Men and their Gods. Hellblade Senua’s Sacrifice utilises psychosis effectively. Not only have they clearly done their research and presented it accurately; (Props for doing your due diligence Ninja Theory) They have also gone on to integrate it in a way that enhances atmosphere and game-play mechanics. The voices that talk to you add a sense of confusion and turn what would be simple decisions in other games into a series of conflicts in which Senua seemingly has no part. The effect of these conflicting opinions surfacing every time you pass a point of no return, or start struggling in combat is doubt, they will make you second guess yourself. You walk a little more slowly around that next corner or pause to take in your surroundings just in case you missed something. Combined with the games effective use of setting, Ninja theory would appear to have found themselves a winning combination. The Psychosis also manifests itself within the combat and puzzle elements of the game. At times in the combat arenas, the voice that says ‘Behind you’ is the only thing between you blocking and you being slammed to the ground. This is but once instance of the game using Senua’s psychosis to guide you. The voices will also at times let you know which attacks you cannot block, or when you are getting yourself trapped in a corner. All crucial advice during combat sequences. Previous Previous post: Loot boxes: Are they ever appropriate?